1. Socializes more with his phone than his peers. All their friends in high school are throwing out their cell phones for the night just to let loose. Meanwhile, a party pooper has his nose stuck on his phone tweeting every single moment happening in the event like he’s some kind of news reporter paid to do so. The rudest thing they will ever do is cut you off in the middle of a conversation and start sending texts while you’re in the climax of your story. 2. Prefers to sit at the corner and mind other people’s business. They like to stay at one place and reject all forms of help to be one with the crowd. 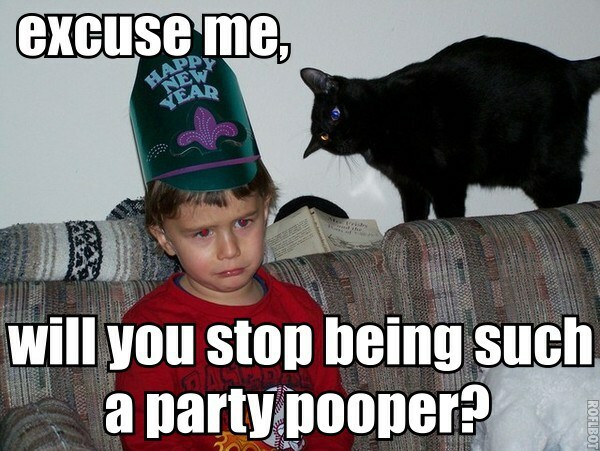 And you know what’s worse than a party pooper? Party poopers. When they clump into groups, all they do is talk about other people who attended the party judging how they look, what happened to them in the last five years, the abortion rumor, all gossip! And they actually get drunk on their own, which is really sad to look at. On a dinner party, the immature, ill-mannered, and a cheapskate party pooper attends for the sole purpose of food. They arrive very late, missing the main program and only appears during the banquet. Now you see them, now they’re full, and now you don’t. Gone like the wind. Does he even know the host? 4. Talks more about himself than about the celebrant. If the party is thrown to celebrate for someone, never let the party pooper give a toast. Chances are he will take the spotlight for his own. He’s going to tell a self-centered story about himself which he finds very emotional and eventually closes his speech that is in no way relevant to the celebrant. They all talk so loud that it’s obvious they want the attention. 5. Being a chill pill and a killjoy. Some parties have games in it. Age doesn’t matter. However, for a party pooper it does. They don’t establish bonds during the party, and they get mad so easily. They question every planned activity for the whole celebration. Basically, he is a combination of party pooper number 2, and number 4. 6. Gets into a fight. And the worst kind of all is the one who causes trouble. He acts like a jerk and struts like he’s someone important until he finds his match. They destroy the entire party, and they might even scare your guests away. Never let this party-pooper get drunk because the effects will be disastrous. Always remember that one person is not a party. So if you don’t like being in crowds, you can always decline the invitation rather than bring the whole plan down. Parties are not about who wore it better, or who is more successful. Parties are about having fun and catching up with old friends and make new ones. Previous post: Planning a Party: Who are You Going to Invite?